The stars have started arriving at the Red Carpet. Ayushmann Khurana looks dashing in a tux. 'Barfi' is in direct fight with 'Jab Tak Hai Jaan' at the 58th Filmfare Awards, which is taking place tonight. Anurag Basu's 'Barfi!' has won maximum nominations at Filmfare Awards. What are its chances tonight? 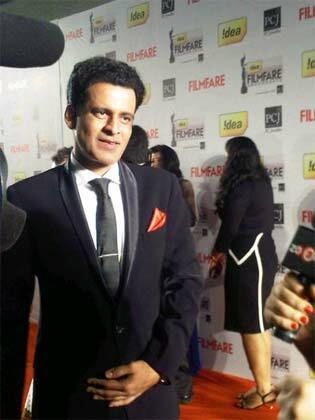 This year Filmfare unveiled a new trophy with a gold base to commemorate 100 years of Indian cinema. 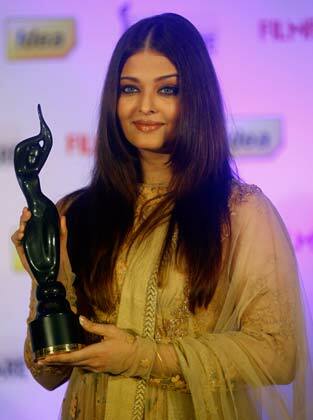 Bollywood actress Aishwarya Rai Bachchan poses for a picture with the trophy of the 58th India Filmfare Awards during an event in Mumbai, January 9, 2013. Pritam has already won Best Music award for Cocktail at the ZeeCineAwards, will he add another victory tonight at the Filmfare? Sidharth Malhotra: "Hey will Tux up soon for Filmfare awards tonight. Watch out for our performance and hosting..need all the love and luck"
Award for Best Sound Design goes to Sanjay Maurya and Allwin Rego for Kahaani! Filmfare Award for Best Production Design goes to Rajat Podar for Barfi! And that's Barfi's first award of the night! 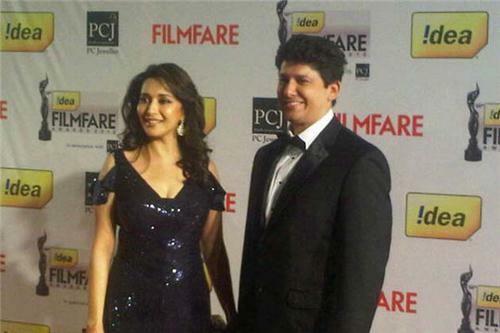 Filmfare Award for Best Editing goes to Namrata Rao for Kahaani!